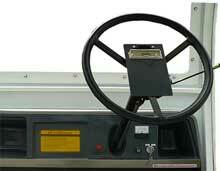 The golf carts are designed especially in driving system, with high efficiency electrical drive system. 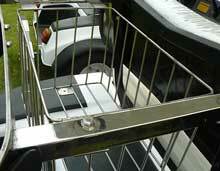 Electric Powered Vehicle , 1 sections, 2 seats, 4.7 horse power, is suitable for people who prefer to drive themselves. 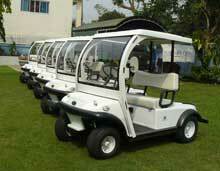 It is a multi purpose vehicle and can be used for driving in villages or golf course. Turning circle : 2.5 m.
Distance for each Charging : 70 Km. Suitable for people who prefer to drive themselves. 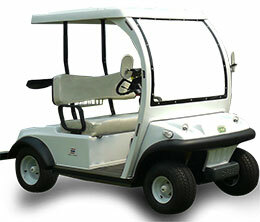 It is a multi purpose vehicle and can be used for driving in golf courses,resorts or villages . 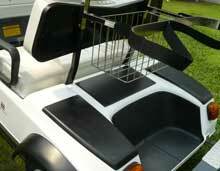 The golf cart are designed especially in driving system, with high efficiency electrical drive system.